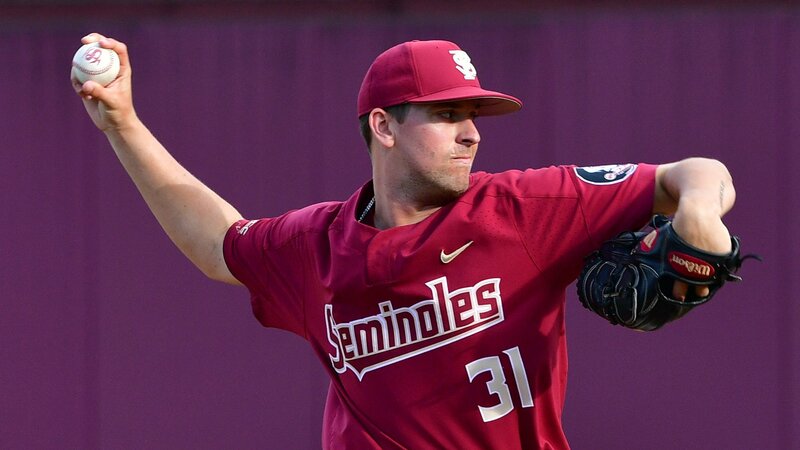 Florida State sophomore pitcher Conor Grady has come through in a big way of late for the Seminoles and people have noticed, including the ACC. For the first time in his career, Grady was named the ACC’s Pitcher of the Week on Monday. Grady was stellar in two performances this past week against Florida and Clemson. Over those two games, Grady tossed 12.1 innings without allowing an earned run. Grady surrendered just three hits in the two outings and fanned 20 total hitters. After getting the no-decision against Florida on Tuesday night in seven innings, Grady worked 5.1 scoreless innings on Sunday to get the victory against Clemson. For the season, Grady is now 6-3 with a 2.41 ERA. His six victories leads the team and ranks 31st nationally. He ranks in the top five among qualified players in the ACC in both categories.